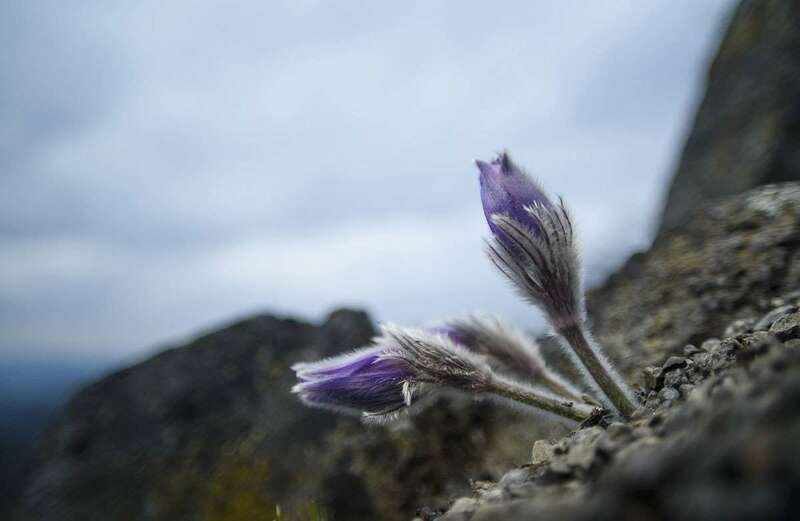 Greater pasque flowers (Pulsatilla grandis) bloom on the rocky terrain near Salgotarjan, Hungary, on March 25, 2018. This protected perennial plant flowers from February to April on dry grasslands and in some forests. 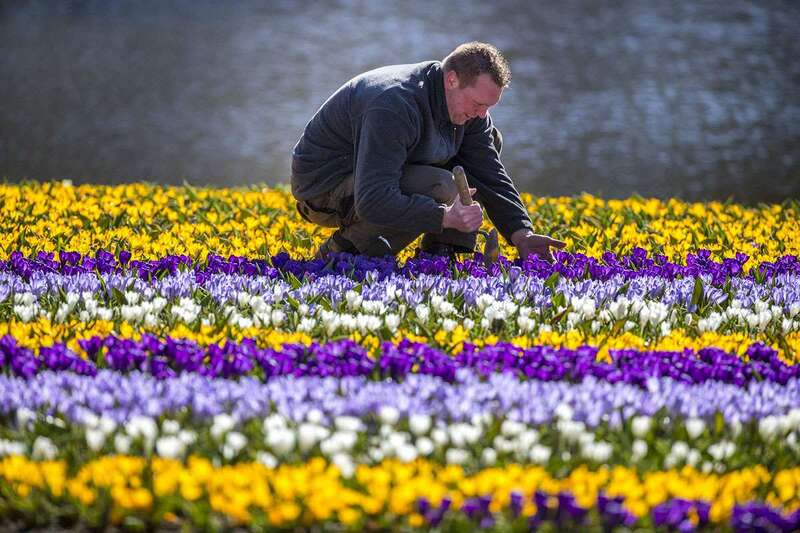 A gardener makes finishing touches in a field of tulips in the Keukenhof in Lisse, Netherlands, on March 20, 2018. 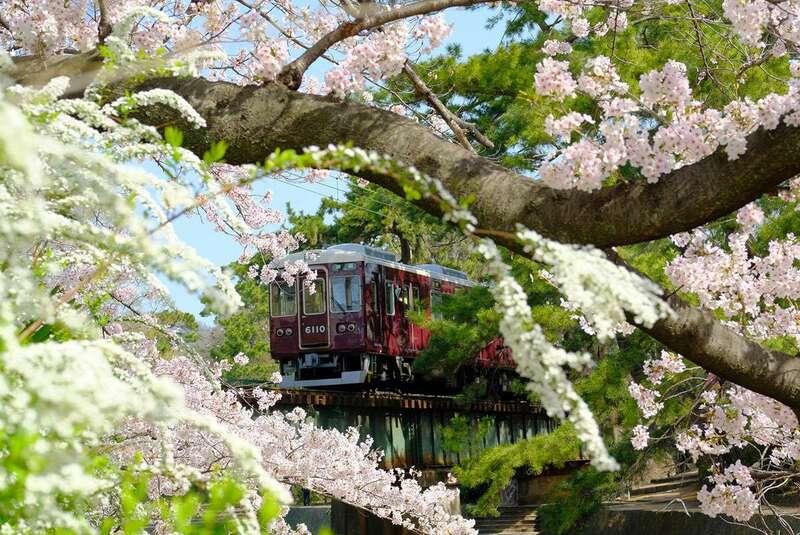 A train passes through cherry blossoms in Shukugawa Park in Nishinomiya City, Hyogo Prefecture, Japan, on Mar 31, 2018. 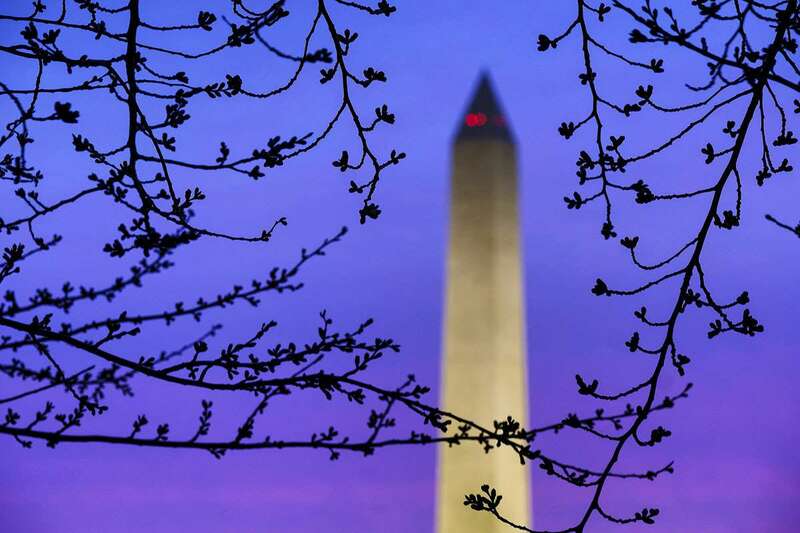 Cherry tree buds are silhouetted against the morning sky near the Washington Monument on March 27, 2018. Cherry blossoms on a hillside near Mount Yoshino in Yoshino, Japan, on April 3, 2018. 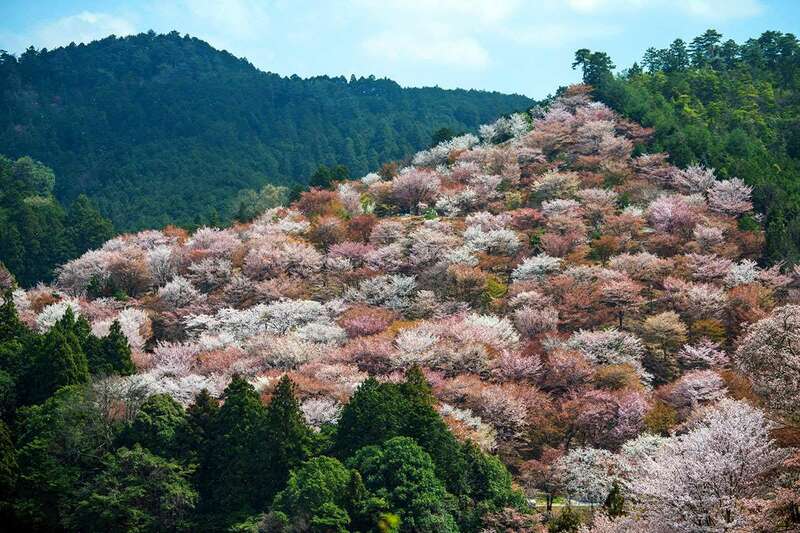 The town of Yoshino in Nara Prefecture has become famous throughout Japan for the thousands of cherry trees that blossom in the spring, covering the slopes of Mount Yoshino and nearby hillsides. 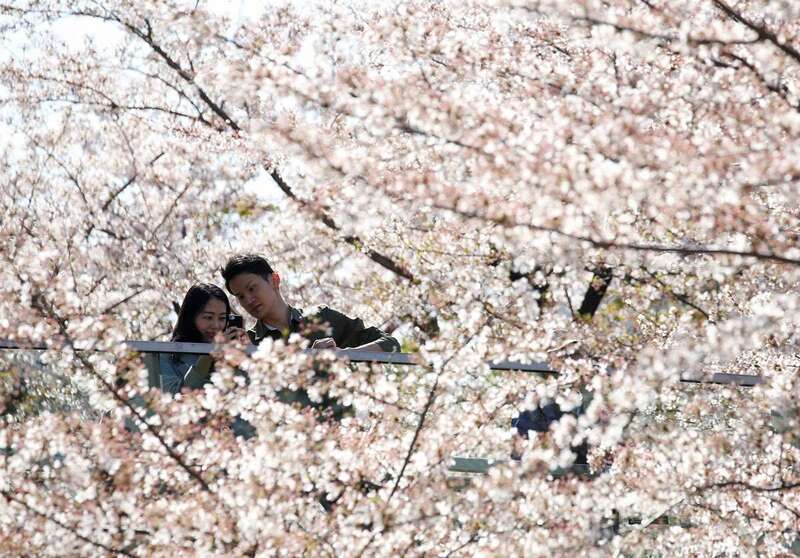 People take a picture of cherry blossoms in full bloom in Tokyo on March 30, 2018. 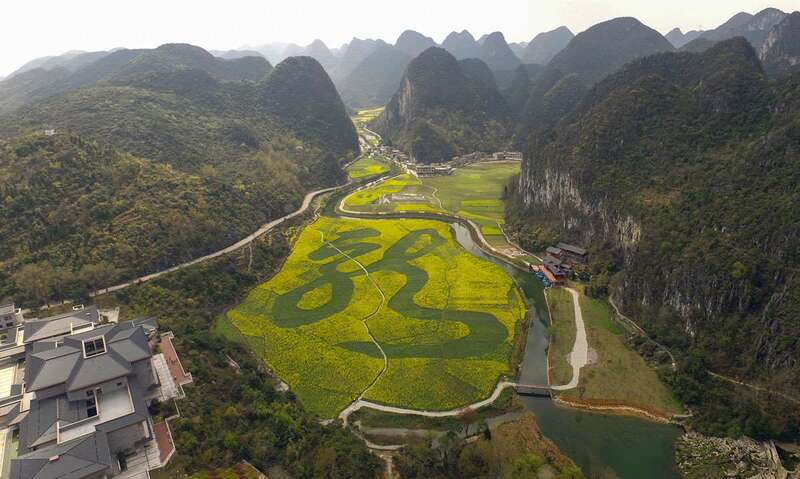 A huge Chinese character, Lóng (dragon), is carved into 80,000 square meters of rapeseed flowers blooming in a field in Anshun, Guizhou, China, on March 14, 2018. 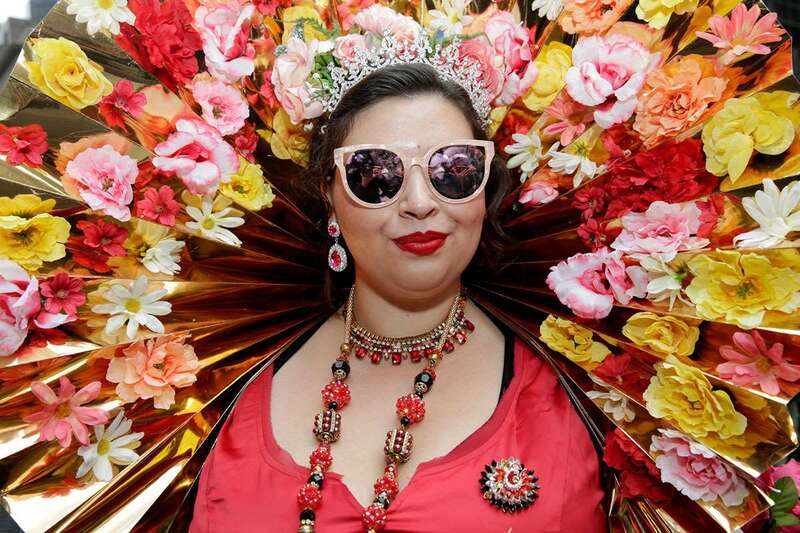 Haley Ward, who says that she is dressed as the "Queen of Spring," attends the annual Easter Parade and Bonnet Festival in Manhattan on April 1, 2018. 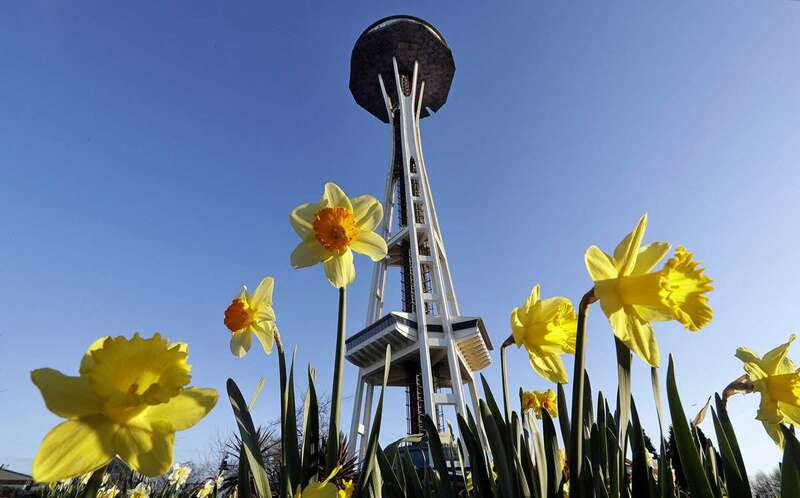 Daffodils bloom below the iconic Space Needle on the morning of the spring equinox on March 20, 2018, in Seattle, Washington. 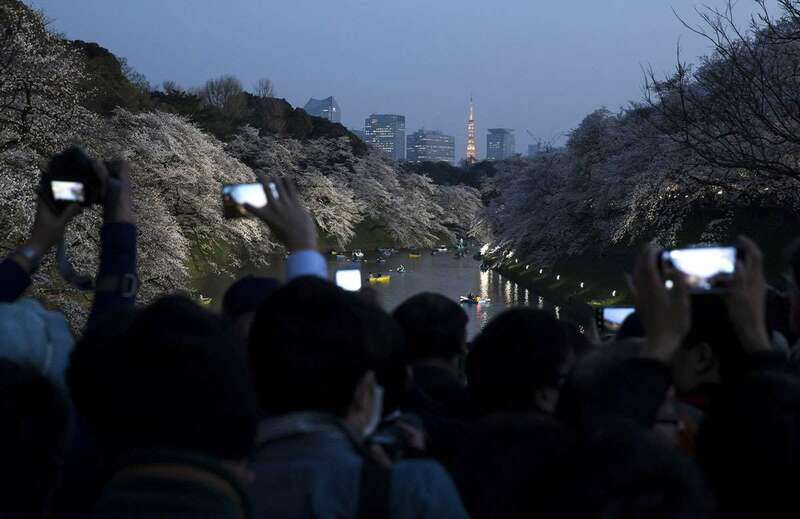 People take photographs of cherry trees in bloom as the Tokyo Tower stands illuminated at night at the Chidorigafuchi moat on March 26, 2018 in Tokyo, Japan. 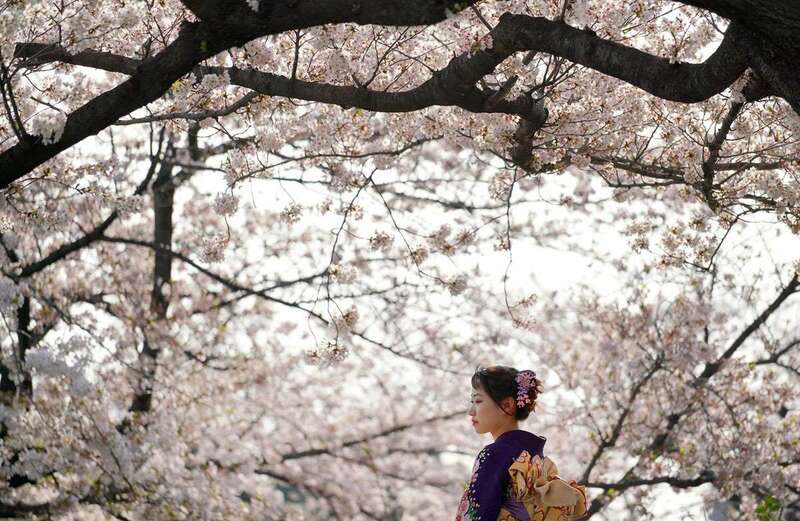 A woman takes pictures of early-blooming cherry blossom, called "Shidarezakura," at the Zojyoji Buddhist temple in Tokyo, on March 17, 2018. Visitors take photographs alongside cherry blossoms in Tokyo on March 27, 2018. 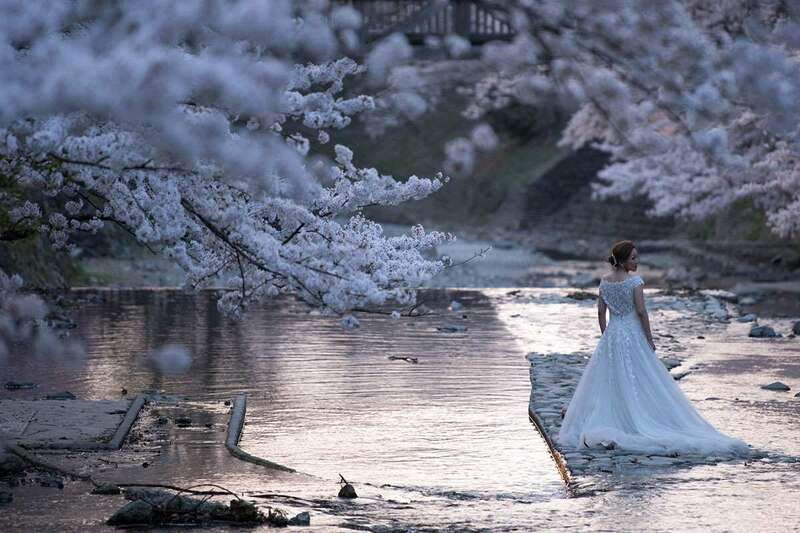 A woman poses for wedding photographs in her wedding dress next to cherry blossom trees in Kameoka Yawaraginomichi Sakura Park on April 2, 2018, in Kameoka, Japan. 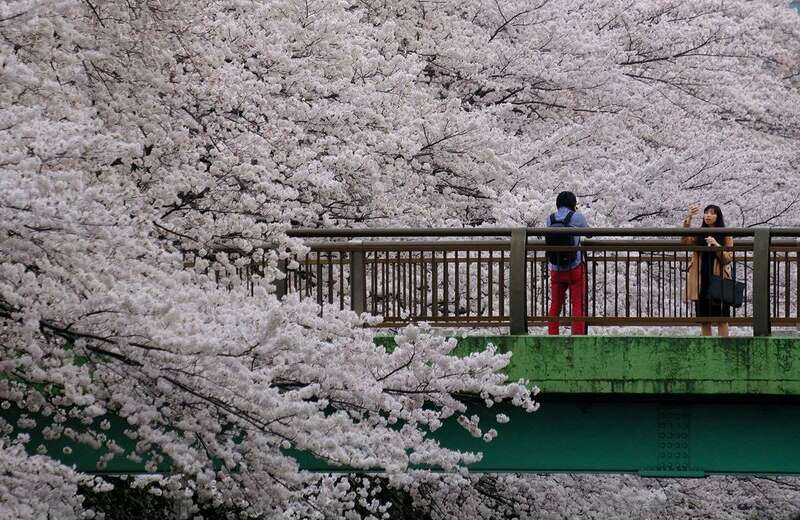 The park has 1,500 trees with 30 different types of cherry blossoms and has become a popular destination for tourists, as well as locals wanting to enjoy the cherry blossoms. 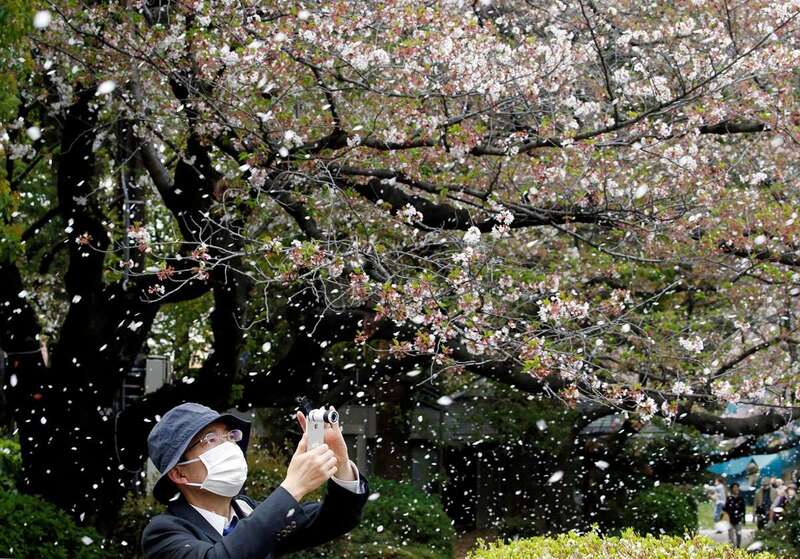 A man films a shower of cherry blossom petals in a park in Tokyo on April 2, 2018. 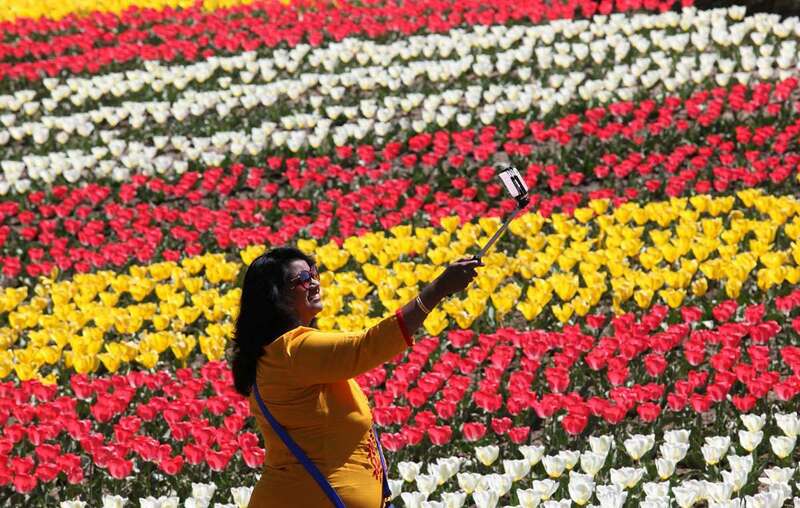 An Indian tourist takes a selfie in a tulip garden at Sanasar in Udhampur district, some 140 kilometers from Jammu and Kashmir, on March 29, 2018. 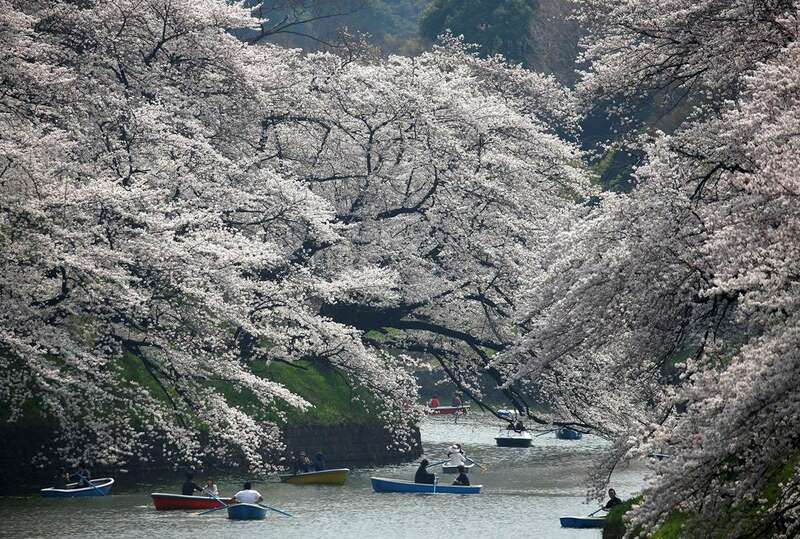 Visitors ride a boat in the Chidorigafuchi moat, as they enjoy fully bloomed cherry blossoms in Tokyo on March 26, 2018. 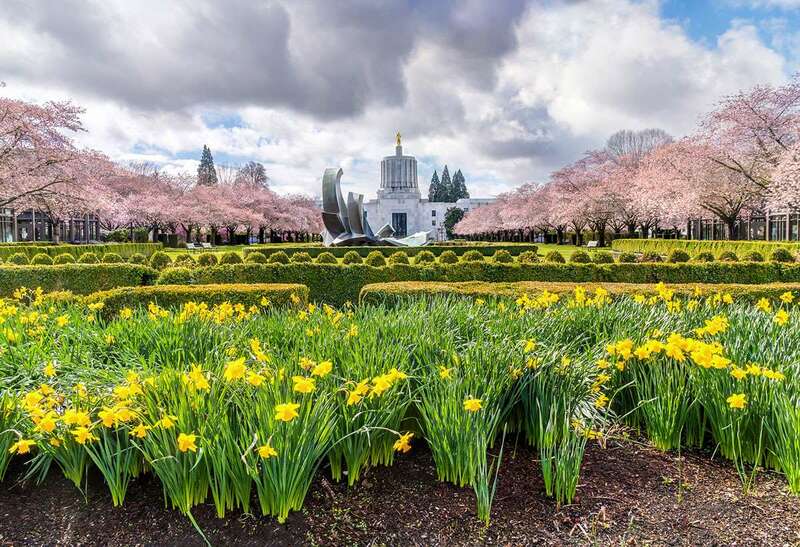 Spring daffodils and cherry trees in bloom in Oregon State Capitol State Park in Salem, Oregon, on March 25, 2018. 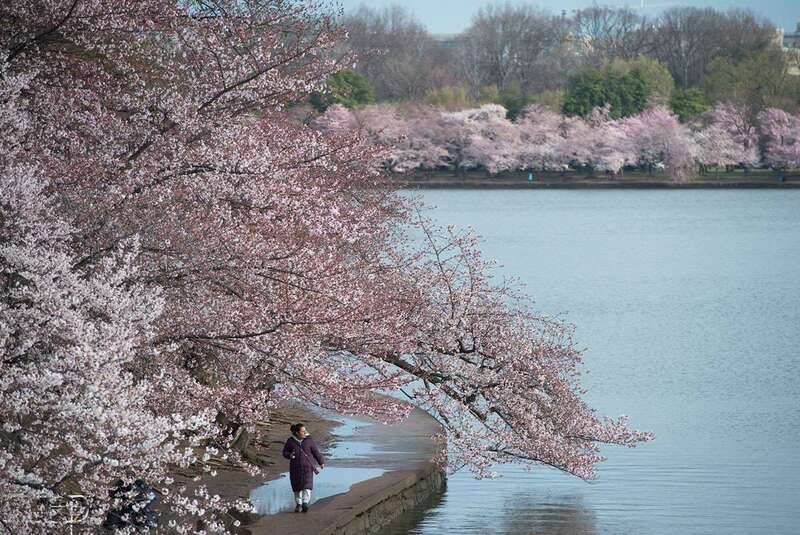 A woman walks along the cherry blossom trees as they bloom around the Tidal Basin in Washington, D.C., on April 4, 2018. Cherry blossoms frame the Jefferson Memorial on a overcast day in Washington, D.C., on April 3, 2018. 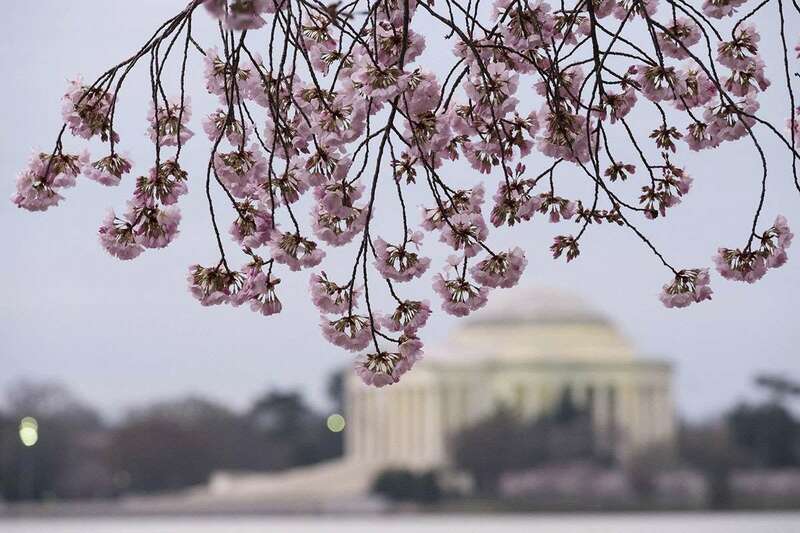 The famous trees surrounding the tidal basin are excepted to reach peak bloom over the weekend. 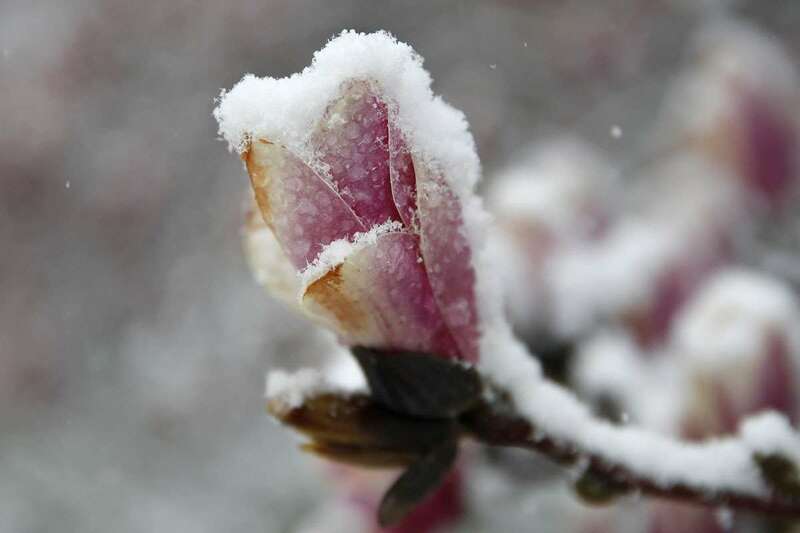 Snow coats a magnolia blossom near the Tidal Basin on March 21, 2018, in Washington, D.C., during a snowstorm on the second day of spring. 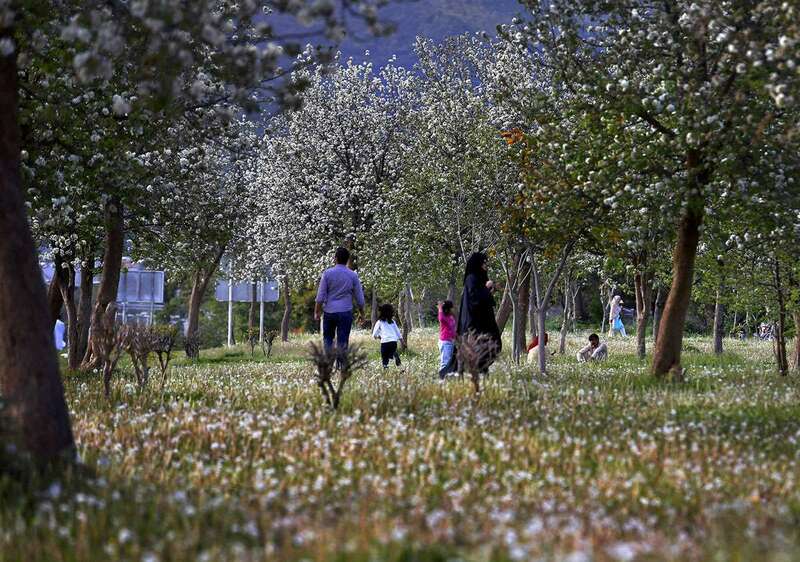 A family walks in a park amid tree and flower blossoms with the arrival of spring in Islamabad, Pakistan, on March 18, 2018. 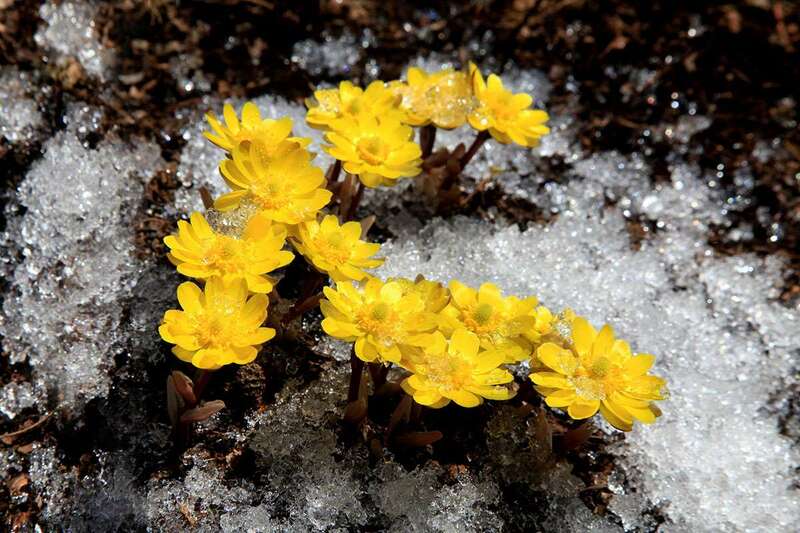 Gagea lutea blossoms in the frozen earth in Yichun, Heilongjiang, China, on March 31, 2018. 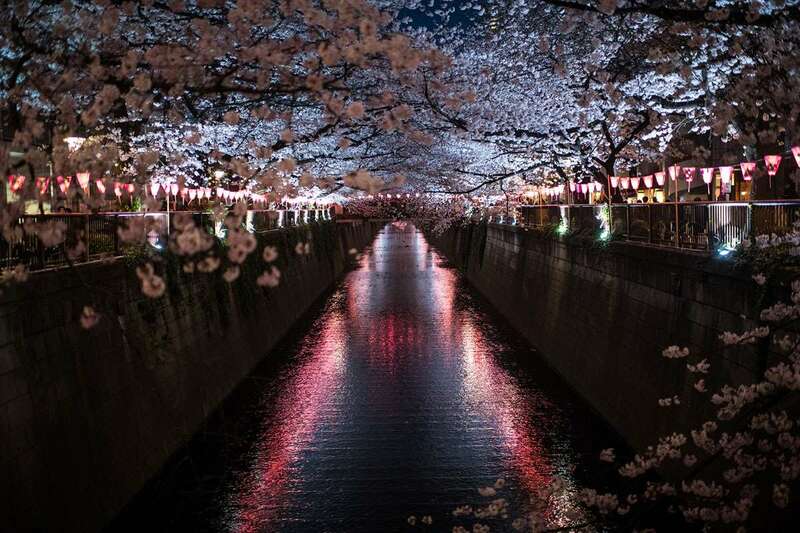 Cherry blossom hangs over the Meguro River in Nakameguro on March 26, 2018, in Tokyo, Japan. 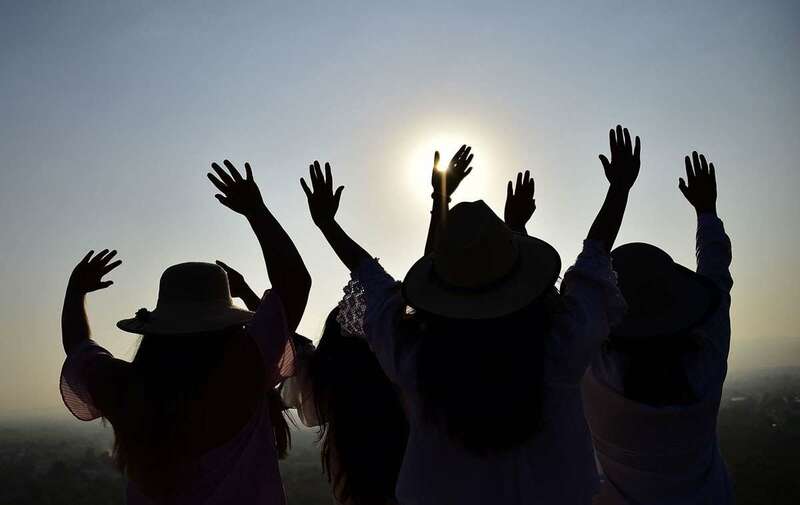 People atop the Pyramid of the Sun at the archaeological site of Teotihuacan, northeast of Mexico City, draw energy from the sun as it rises during celebrations of the spring equinox on March 21, 2018. A small collection of images from the past few weeks from North America, Asia, and Europe, of tulips, sunshine, and cherry blossoms—surely signs of warmer days to come.